No cable tv or satellite for me. Strictly streaming over my internet connection. Well, that and the locals via an antenna that I have mounted on my chimney. I knew you didn't, I was wondering about the others. See the thread title. I have a 50". I am waiting for my 55" or better yet a smart TV. I hope you don't have to be smart to operate it. "Cable cutters" is a catchall phrase for anybody switching from cable/satellite to streaming internet feeds. Sorry, I thought I was part of 'You all'. Just in case I am part of 'your' in your last post..... You don't have to have a 'Smart TV' to have a 'Smart TV'. That's what a Roku or Firestick does for you. As long as you have a HDMI port on your TV and an internet connection, wired or wireless, you're good to go. There's no need for a new television to take advantage of streaming as long as that HDMI port exists. Charlie Spencer and Spotter22 like this. Smart tvs to me are a waste of money. I can take a Firestick and make a TV smart and pay a couple hundred less. Exactly. I own several 'Smart TV's' but seldom use any apps that are associated with them. My televisions all default to the HDMI port that has the FireStick or FireTV Box connected. On each of our televisions we have access to the IPTV service we use as well as Netfilx & Hulu. I only purchased Netfilx & Hulu for my daughter that's away @ college. Just prior to Christmas I purchased four 32" FireTV Ready televisions for my mancave. Those things are awesome. The built in FireTV app functions exactly the same as a FireStick does. They also incorporate OTA into the guide. Another nice feature with them is that if you subscribe to a service like Vue, Sling, Hulu, YouTube, etc, their channels are also incorporated into the guide. Somehow the EPG is pulled into the TV Guide making channel selection a breeze. I can certainly understand how all of this could be viewed as confusing when it's really a simple process. If people only realized what they are missing but hey, you can at least lead them to water. The rest is up to them. 4- 32" in the man cave? You must be running a small Bar and grill out there lol. I'm using Sportztv for IPTV right now (used to be Durextv) and absolutely love it for live tv and for any others like movies or TV series Im using Cinema. Sportztv is more than just sports, it gets over 3000 channels pretty much the same lineup as other IPTV services. I should have stated that as 4 additional televisions for the man cave. I've already got a few big screens. 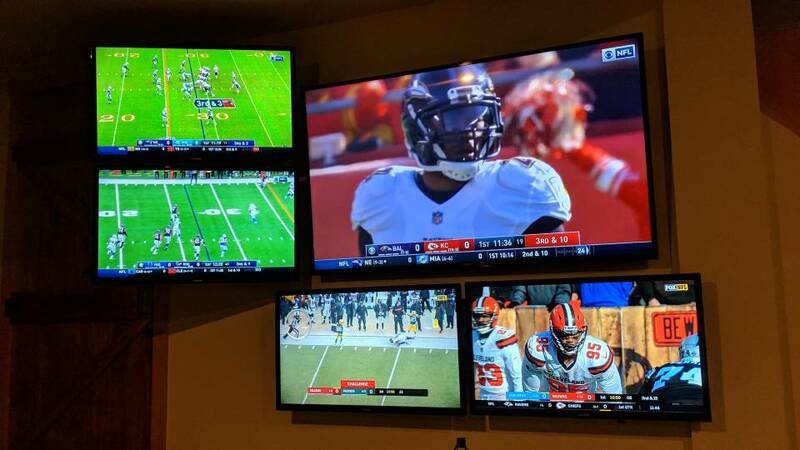 I just surrounded one of them with 4 smaller models to take in 5 NFL games on a single wall. Two of them are mounted on easily removable mounts to go into the RV in the summertime. I'll have to check out your IPTV. I'm using Vader. If a person is going to buy a new TV anyway, Smart technology is standard these days. That's how I wound up with new set two years ago chock full of features I didn't know about, care about, or want. 'Smart' was one of those. See also my rants about replacing my 15-year-old truck in the coming months. I've had times that I've had buffering issues but that only seems to be when my son is streaming his video games. He's got some sort of setup that allows for people to watch him play. Yeah, there's actually people out there that watch other people play video games. So, not only is he playing a game online, he's streaming video of him playing online. Other than that, it's a pretty solid service. I've never been down or not been able to watch any and every sporting event that I wanted to, including PPV as well. I did notice that your service had three payment plans. The difference being the number of simultaneous streams. The lowest tier @ 2 and the highest @ 4. I am currently able to do 5 for my $15/month service. The only time I need that is during the NFL season. I PM'd you more information on the service. I understand for the most part, aside from most of the posts by DP. He knows too much! Just trying to help if I can and spread the knowledge. Team Penske and Brentford like this. The problem in my area is Internet alone costs almost as much as Internet/TV package via cable. No contract $89.95 200meg 200+ channels. Keep it up, racing starts soon. "O' O' O' O'Reilleeeeeeys, Auto Parts (silly noise)!" I have a Verizon prepaid phone. Their levels are $40 with three gig data-$50 eight gig-$70 unlimited. Man, AT&T prepaid is $40 a month unlimited with auto pay. $45 without. It beats the heck out of the gerbils, or having 'Runnin' Down a Dream' slaughtered for the umpteenth time. But, but, but we are trying to cut the cable. Doesn't a fire stick require an HDMI cable to hook up to the TV? No cable for a smart TV. It's a USB device and remote but does still require some type of wireless Internet. I still don't see the huge savings. EDIT: After looking at picture it plugs in HDMI port. If you dont see the savings you havent done your research. My internet and cable in the past was over $180.00 a month. Now all I pay is 75.00 a month for both and I have every channel i could possibly want, every sports channel, every movie channel and PPV. Thats 89.95 gets you 125 channels, it doesnt include boxes for your other rooms and that will run you another $8 per room plus you will pay more if you want the DVR service. No sports packages,no movie packages unless they give you HBO 3 months free but you better not forget to cancel it after that! My 75.00 a month gets over 3,000 channels which includes NFL Sunday ticket, every college football game, every MLB game,NBA game, soccer and any major PPV event, we cable cutters have made more then headway, we are leaving the rest behind! I've come to the conclusion that people just aren't understanding what we've been trying to tell them. It doesn't seem to be worth the time at this point. 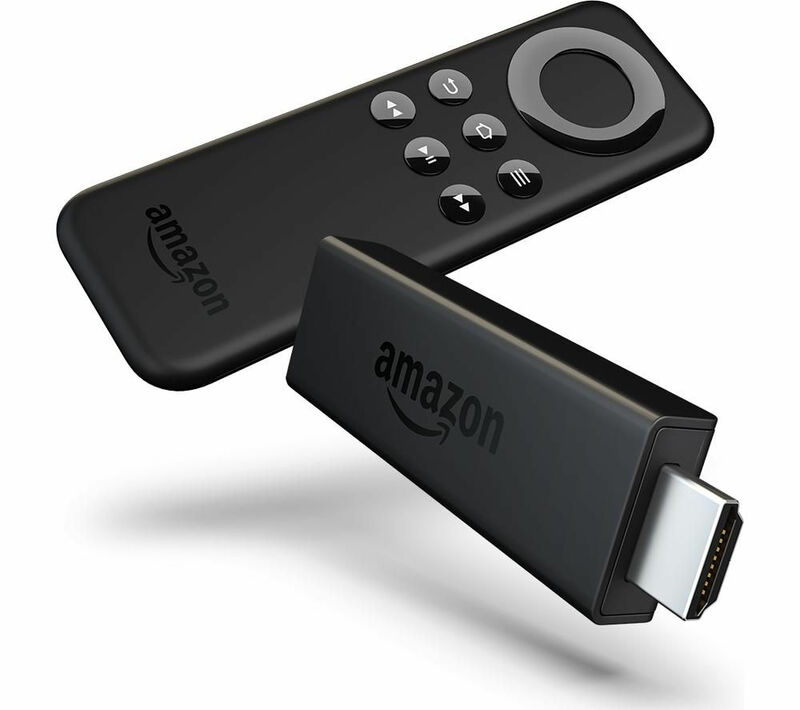 I just got done using the Amazon Silk Browser on my Fire Stick to watch today's Las Vegas test. Worked flawlessly streaming on multiple locations. Picture quality was top notch. Your experience may vary according to your internet connection. Might be worth a shot for those of you that stream these races off of your phone/laptop/computer. I'd love to find a friend or neighbor who's doing this so I can get some 'hands on' with one of these systems. Videos just don't do it for me. Maybe playing with Samsung's smart features this weekend will give me more of a notion what's going on. No doubt. Makes me cringe when I hear them complain about having to pay more for FS1 or NBCSN when the answer is right under their nose. I remember using Limewire as a kid to download music. Like IPTV, it was not legal. However, music and streaming services seem so easy for the techies to create these days that even though one may get shut down, there will always be other options. I'm using sportztv but it has much more then sports and like dpkimmel I have other backups if needed but no problems on my end. It may be illegal but the difference between this and limewire and napster is we pay for the service. I also use a VPN. Most of them that advertise hundreds or thousands of channels for a price of next to nothing are. Sling Tv, Playstation Vue and other similar services are IPTV, but they actually pay for the channels included in their services making them perfectly legal. Those that offer hundreds or thousands of channels for $15 or $20 definitely arent paying for the channels they offer, making them illegal. Most of them that advertise hundreds of thousands of channels for a price of next to nothing are. Sling Tv, Playstation Vue and other similar services are IPTV, but they actually pay for the channels included in their services making them perfectly legal. Those that offer hundreds or thousands of channels for $15 or $20 definitely arent paying for the channels they offer, making them illegal. Charlie Spencer and Brentford like this.